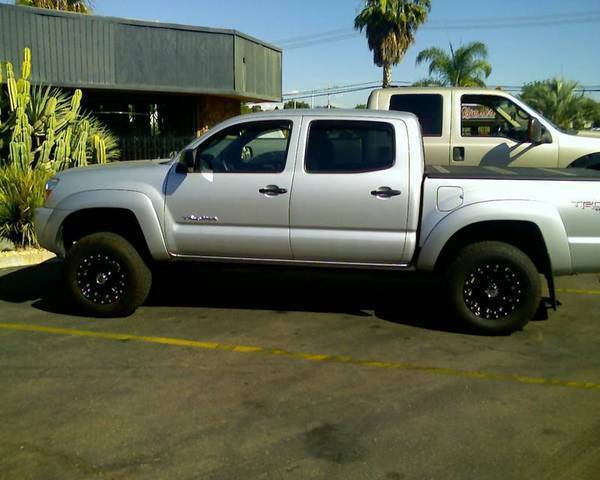 3" lift and stock Sport wheels/tires? 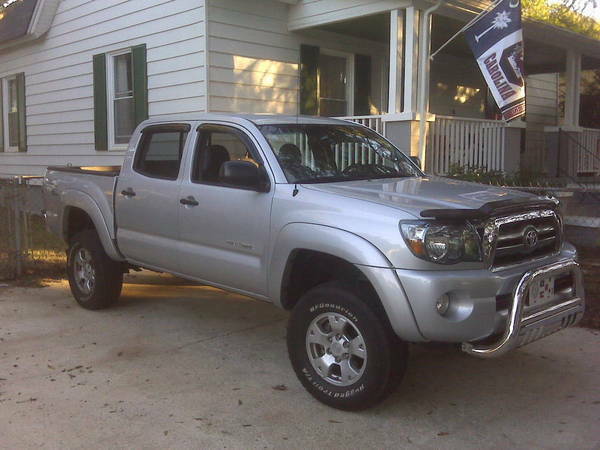 Discussion in '2nd Gen. Tacomas (2005-2015)' started by teamfast, Oct 13, 2010. 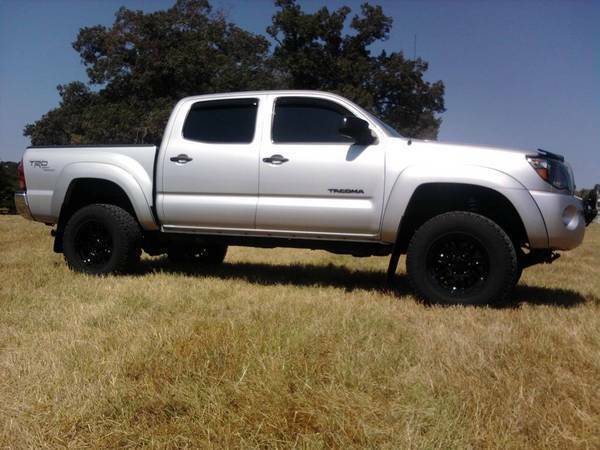 Id like to lift my truck but cant afford to do tires at the same time. I was also given a set of winter wheels and tires with the truck when i bought it. Is anyone running the stock shoes? If so could you post a pic or two? Thanks! Bump. I'm running 265-70-17 or whatever the biggest tire you can fit on stock suspension is. I would like to see some lightly lifted rigs running stock or close to stock tires too. i just got some new shoes a day or two ago, but i have some pictures with just the lift on 3" of lift, stock wheels, and 265/75's; just a little larger than stock and these are 16'' off road wheels, but it's close enough. i just got some new shoes a day or two ago, but i have some pictures with just the lift on 3" of lift, stock wheels, and 265/75's. these are 16'' off road wheels, but it's close enough. That looks a lot better than I thought it would. 3" ToyTec Lift kit with ultra Goliath wheels and general grabber tires for now. what type of susp. lift do you recommend? Any side shots (straight on)? Toytec u.l.k.+ rear leaf tsb , stock dunlaps (summer tires) ,265-65-17 .Minus the front mud flaps. I don't have any off hand... I will try and post some today or tomorrow. So how much are these Total chaos UCA's? The website doesn't say.